Chaitanya Choudhury is a popular small screen actor. According to him the talent of acting comes naturally to him. He loves spending time with his parents. Check out the most updated and latest information about Chaitanya Chowdhury's on the Internet.We have 10 videos of Chaitanya Chowdhury including interviews, events, or public appearances.Chaitanya Chowdhury has over 130 Fans registered on India-Forums.com. We have 47 Television News articles related to Chaitanya Chowdhury.Do share your criticism, comments and feedback for the Actor on Chaitanya Chowdhury's comments page. We have over 13 Photos of Chaitanya Chowdhury to view and download including Chaitanya Chowdhury's Wallpapers. kanha and Akhil at a time two roles.woh!! Hi.. Chaitanya.. very nice & super as Akhil..in bRKD. Hi... Chaitanya.bro.wow as akhil in BRKD show ur super... love...akhil-shyama jodi. Happy bday to u chaitanya,may u have many many more.love u sooo much. chaitanya we love u sooo much! 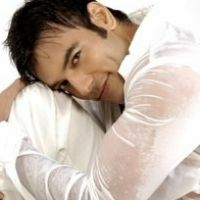 !plz plz do any lovestory.i still remember ur role in sangam u look great as a hero.u r a best actor and a best dancer. I'm loving your character in BRKD! You're an awesome actor! best of luck to u for ur show 'badlta rishton ke dastaan'.